SpyHunter is a powerful modern day anti-malware and anti-spyware application, operating in real time. The application comes with a certificate by West Coast Labs’ Checkmark Certification System. SpyHunter has been designed in order to be of help to the average PC user and protect his computer from various malicious threats. The SpyHunter application can detect and then remove rootkits usually used to install Trojans, worms, toolbars, and other rogue anti-spyware programs. These rootkits use encrypted files in order to avoid being detected by the traditional security software. We have decided to review this anti-malware program and demonstrate it’s features and benefits over traditional anti-malware software regarding PC protection, malware removal and detection. The SpyHunter application is configured automatically and is designed to offer maximum protection with almost no interaction from the user. The only thing that the user should actually do is to install it for ongoing and immediate protection. The launching takes only a few seconds and can be done even by the inexperienced users. Once installed, the SpyHunter application secures long-term protection from malware, ransomware, viruses, rogue antivirus programs, etc. SpyHunter application can work with the following operation systems: Windows XP (32-bit)(SP2), Windows Vista (32-bit and 64-bit), Windows 7 (32-bit and 64-bit), Windows 8 (32-bit and 64-bit). The SpyHunter makes automatic updates of the malware database, which are installed in the background and are not disturbing the user in any way. 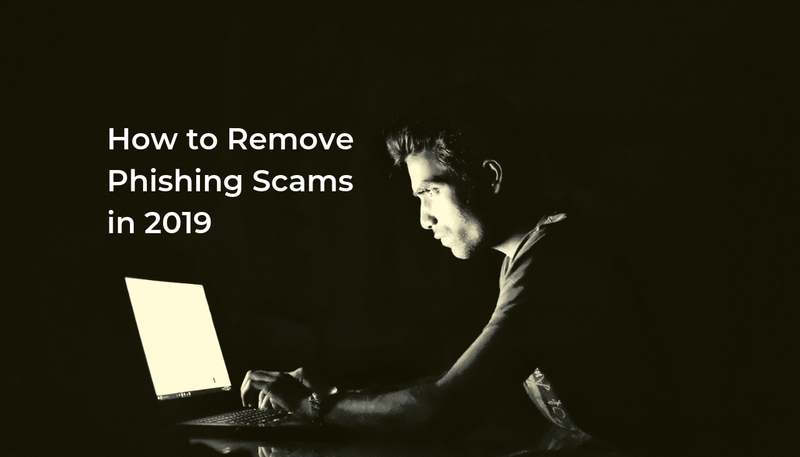 SpyHunter uses advanced technology in order to stay a step ahead of the malware threats, which are constantly evolving and are becoming more and more sophisticated to avoid the detection by the anti-virus programs. In addition, SpyHunter in addition applies customization capabilities, in order to make sure that the SpyHunter application is tailor made to answer their needs. SpyHunter application has an integrated advanced technology for rootkit detection. It allows it to make an immediate rootkit scan and to inform the user with a message in case of rootkit detection. Upon informing the user, the SpyHunter application asks for permission to reboot the computer and to remove the rootkit. To that completely, the user has to stop Windows as rootkits organize other files to run with the operation system. That is why in order to prevent the rootkits from regeneration, SpyHunter has a compact OS, which allows the user’s PC to be booted without Windows and thus to secure the removal of the rootkit from the computer. 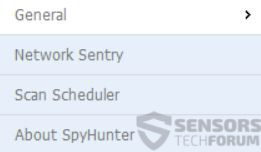 In case the SpyHunter application is not able to remove the malware object automatically, then its integrated interactive feature Spyware HelpDesk allows the technicians to analyze the machine in a remote mood and fix the specific problems, which might be unique to the certain PC. SpyHunter provides 100 % guarantee for detection and removal of all rootkits.Also, Regarding performance, SpyHunter had an average performance while scanning, but was relatively light while being idle, taking up to 250 MB of RAM. Bear in mind that for an old computer, this could represent some difficulties. 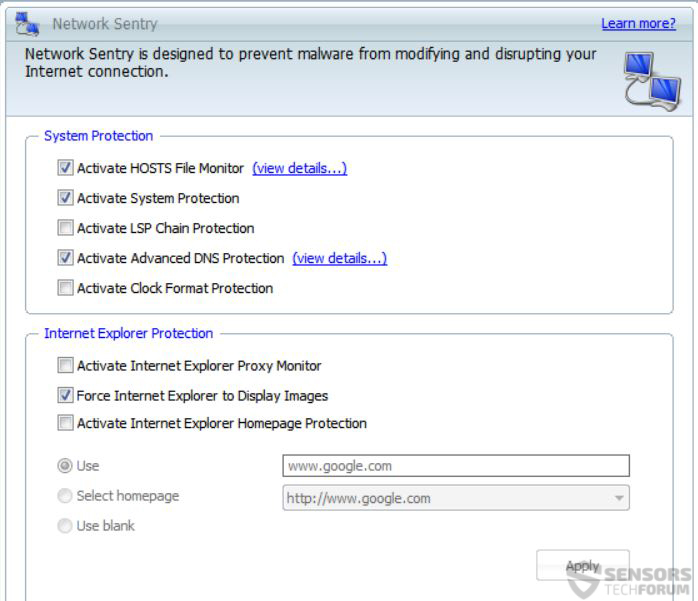 This type of setting prevents malware to stop or modify your internet traffic. It is a particularly convenient feature and what is more, it supports protection directly on web browsers, such as Internet Explorer. Some malware has the ability to “tap” into the traffic of the user, by sniffing out the web traffic via modification of the DNS address. 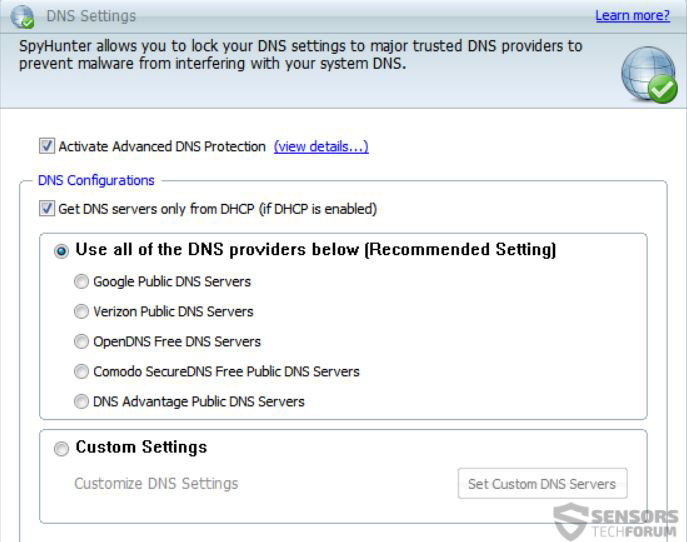 SpyHunter has the ability to provide an Advanced DNS protection by not only blocking access to the settings but also letting the user choose a trusted DNS provider among many. Advanced system scan – scan of the file system and registry. Once the scan is completed, the user gets a list with the potential malware found. 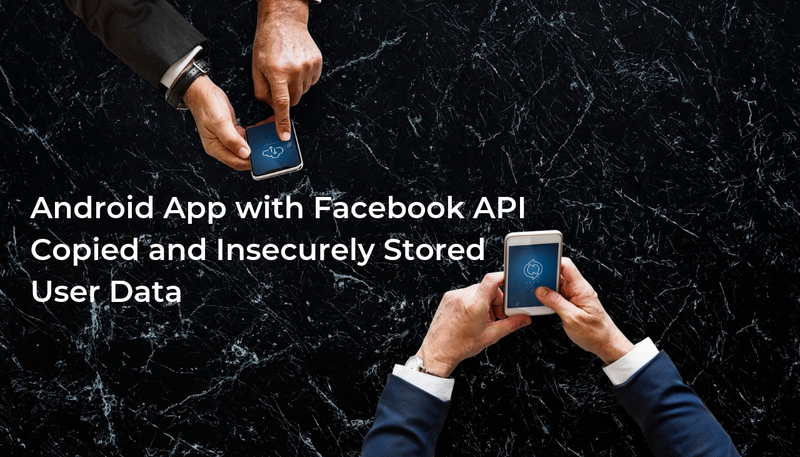 The application provides protection on the most popular browsers including Mozilla Firefox, Internet Explorer, and Google Chrome. Spyware HelpDesk – provides the user with customized fix, if necessary. This additional help is offered by the support team, which remotely analyzes the computer, and the user is given instructions how to remove the particular malware. Malware Prevention – SpyHunter application allows for proactive protection of the user’s PC thanks to its System Guards feature. This happens every time when the user launches a new process. At that moment SpyHunter either permits, runs or blocks the new files. Protection of the homepage – most of the malware changes the browser settings and modifies the home page. In order to avoid that, the user needs to enable the homepage protection feature. Detection of rootkit – this is the most powerful and important function of the application, which is not available in the average anti-spyware programs. SpyHunter is designed to detect even those rootkits that are very deeply hidden and then remove them. The Rollback feature helps the user restore the files and settings to their original state. Possible exclusion of a certain program from being detected in future SpyHunter scan. Regular definition updates to secure protection from the newest malware threats. Free online technical support over the phone. A bit lighter on system resources. Even faster update and scanning processes. Every one of us uses Internet every day and Internet is full of malicious downloads. That is why having suitable anti-malware software installed on our operating system is very important. SpyHunter is an easy to use and comprehensive application with a pleasant interface that can successfully remove the ransomware and the rootkits, the browser hijackers and the fake antivirus programs. Do I have to have SpyHunter launch at startup to get “System Protection” and “System Guard”, or will it automatically run these protections in the background – even if I don’t have SpyHunter launched? Right now I only launch it when I want a scan. Hey !, I found this information for you: "SpyHunter Anti-Malware Tool". Here is the website link: https://sensorstechforum.com/spyhunter-anti-malware-tool/. Thank you.